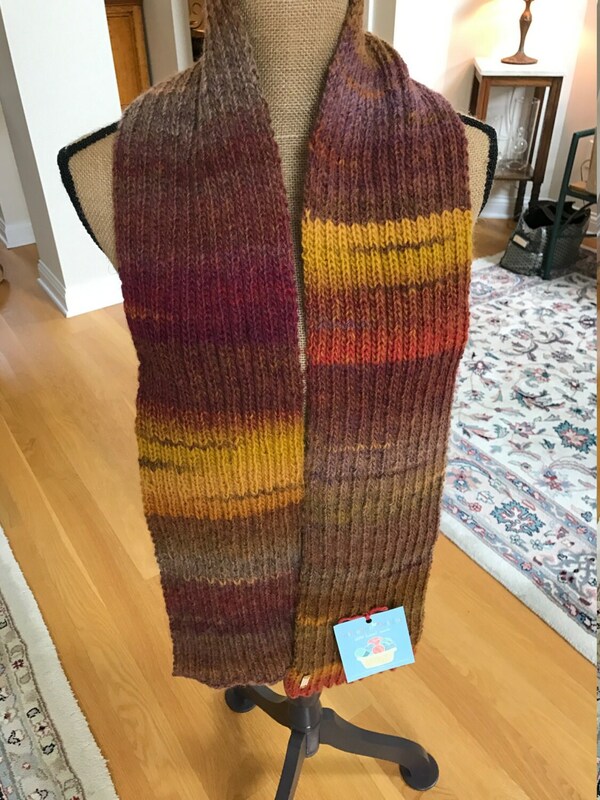 This beautiful hand-knit scarf is made from Amazing MESA yarn which is 53% wool and 47% acrylic, giving the scarf a beautiful texture. It measures approximately 64 inches long by 8 inches wide (not stretched). 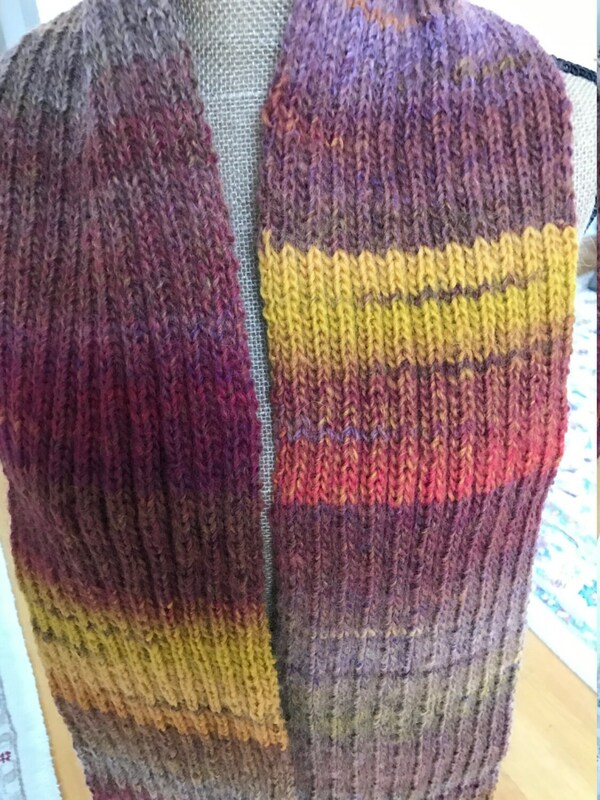 It is double ribbed and one of kind with an unusual striping pattern which is a unique feature of this particular yarn. 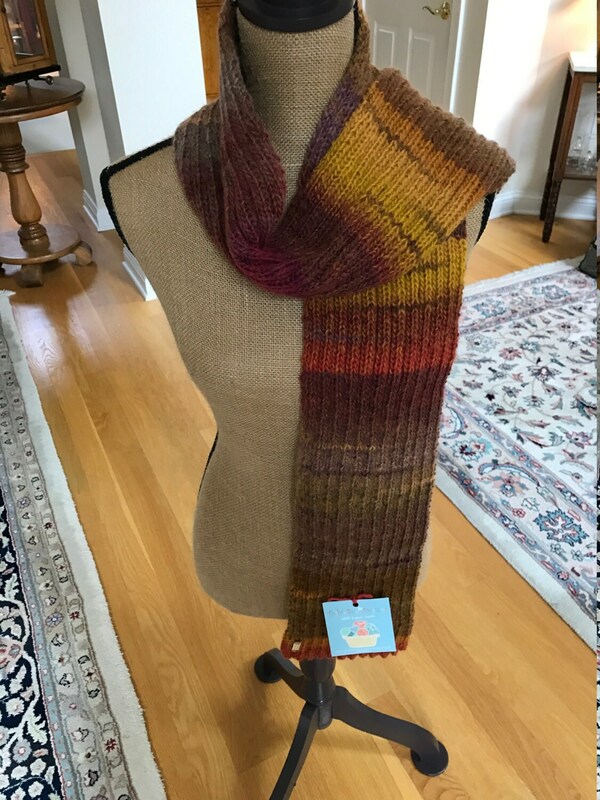 Each scarf takes approximately 20-21 hours to knit. I have several colors available. I would consider these unisex.